The deal arrives as Coolabi prepares to celebrate the brand’s 50th anniversary next year. The new range will also have the option to be personalised so Clangers fans from across the globe can order their own bespoke Clangers gift to themselves. To tap into the huge nostalgia audience of the original Clangers series, Coolabi will also launch the Heritage range, which will include Smallfilms’ artwork from co-creator Peter Firmin. Jeremy Banks, chief executive of Coolabi, said: “We are thrilled to be partnering with Star Editions to launch our very first online shop for Clangers. Clangers has captured the hearts of toddlers, parents and grandparents and, with the 50th anniversary on the horizon, it’s the perfect moment to launch some exciting new merchandise for fans to enjoy. 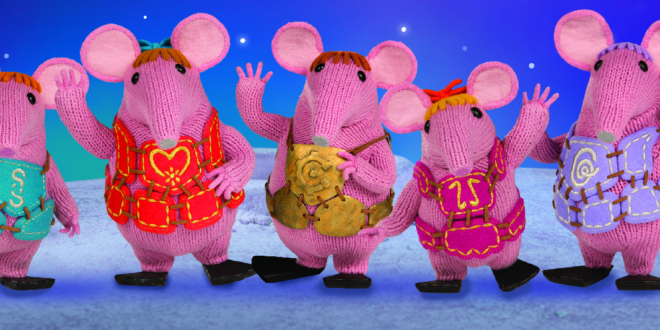 Will Marston, CEO Star Editions, added: “Having always been a huge fan of the show, working with Coolabi and the Clangers brand has been a dream come true. The new deal follows Coolabi’s most recent announcement that a third series of the BAFTA winning pre-school animation, Clangers, is in production and will broadcast on CBeebies in 2019.